The loan process to purchase a home has many steps. The walkthrough below provides an overview of that process. We'd be more than happy to answer any questions you may have along the way. Pre-approval - Get pre-approved for a mortgage and know in advance exactly how much payment you can afford. Completing this step will also increase your negotiating power! Loan Search - Put yourself in the hands of an experienced mortgage professional, someone who will help you to determine which financing options best suit your needs today and in the future. Loan Application - It's crucial to supply the lender with as much information as possible, as accurately as possible. All outstanding debts, as well as assets and income should be included. Documentation - Paperwork supporting the application must also be submitted. Information commonly sought includes pay stubs, two years' tax returns and account statements verifying the source of the down payment, funds to close and reserves. The Hunt - Begin shopping for a house. Once you find the right one, the terms of the sale will be negotiated, including the price and potentially the terms of the loan being sought. Appraisal - Lenders require an appraisal on all home purchases. By knowing the true value of the home, the borrower is protected from overpaying. Title Search - This is the time when any liens against the property are discovered. A lien may have been placed on a property to ensure payment of outstanding debts by the owner. All liens must be cleared before a transaction can be completed. Termite Inspection - While most purchase loans do not require a formal inspection for termite and water damage, some loans (especially government loans) allow for the possibility. If problems are found, repairs may be necessary. Processor's Review - All pertinent information will be packaged by your mortgage professional and sent to the lending underwriter, including any explanations that may be needed, such as reasons for derogatory credit. Underwriter's Review - Based on the information put together by the loan professional, the underwriter makes the final decision regarding whether a loan is approved. Mortgage Insurance - Many lenders require private mortgage insurance when borrowers put down less than 20 percent on a loan. Approval, Denial or Counter Offer - In order to approve a loan, the lender may ask the borrowers to put more money down to improve the debt-to-income ratio. The borrower may also need a bigger down payment if the property appraises for less than the purchase price. Insurance - Lenders require fire and hazard insurance (often referred to as Homeowners Insurance) on the replacement value of the structure. Flood insurance will also be required if the property is located in a flood zone. In California, some lenders require earthquake insurance on condominiums. 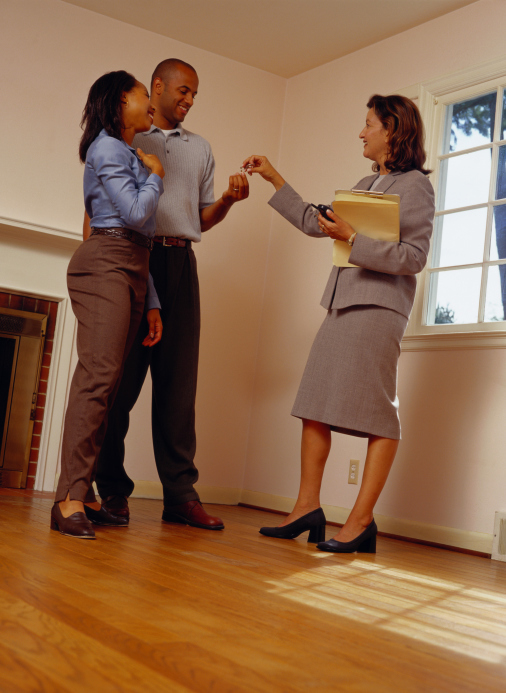 Signing - During this step, final loan and escrow documents are signed. Funding - At this point, the lender will send a wire or check for the amount of the loan to the title company. Confirmation of Funding - The lender authorizes the disbursement of loan proceeds. Closing - Documents transferring title will now be officially recorded by the County Recorder.